From the soft and fiery florals of Wednesday's Petal Palette post to today's Concrete Jungle theme - don't you just love how varied and contrasting interior design can be! 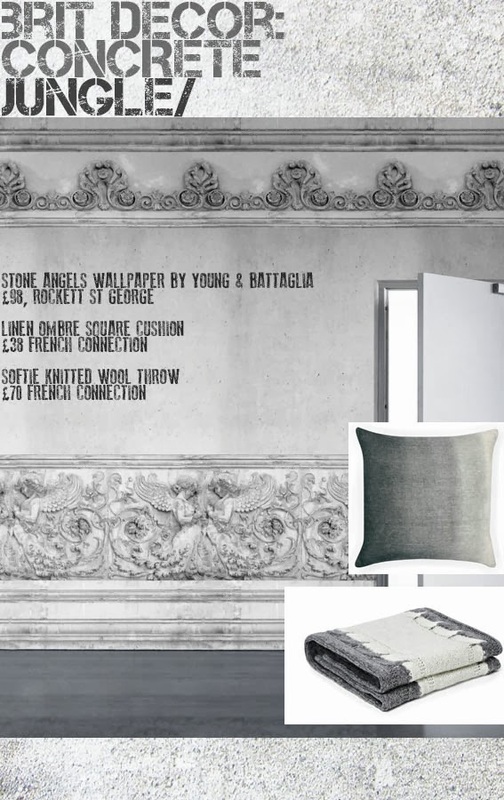 Concrete may only be for the brave amongst us but the minimalist in me is often drawn towards this type of raw styling and I haven't been able to take my eyes off the Stone Angels wallpaper (above) by Young & Battaglia, with it's heavenly graphic theme that I just want to reach out and touch. I am seriously considering adding this paper to my home as a feature wall but a striking design such as this deserves as much free wall space as possible so it will take careful consideration and designer's head scratching before I make a final decision on it (I will keep you posted). To accessorise this raw materials theme, I have offset these hard building materials with some softer fabrics like the Super Soft Fringe throw below and the soft grey tones of the Linen Ombre cushion (above). 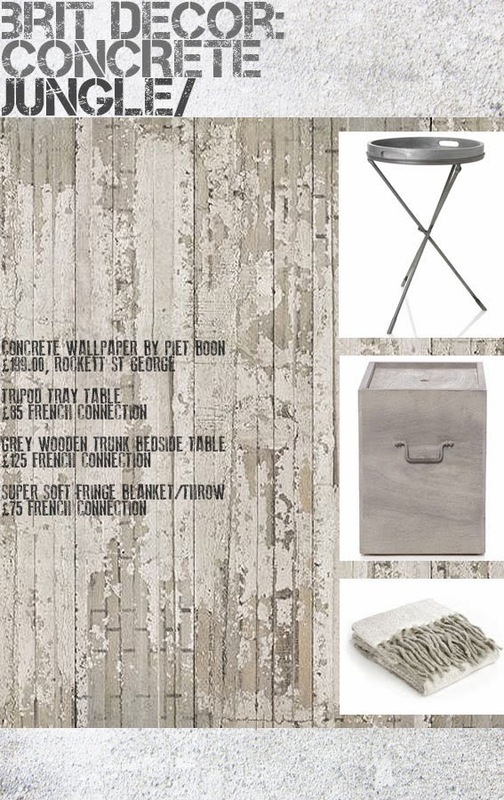 All of the accessories used today are from French Connection because the muted tones of their stunning home collection works perfectly in conjunction with these graphic grey wallpapers. With high impact graphic detailing, it's best to keep the accessories as simple as possible.